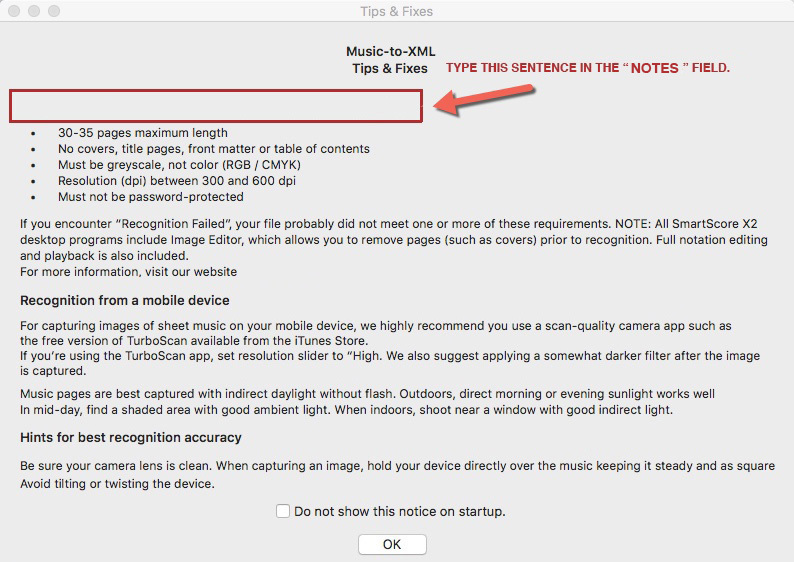 In your copy of Music-to-XML, push the "Tips & Fixes" button. Find the sentence outlined below and type it in the "Notes / More Information" field of the Checkout page. You are eligible for the upgrade if the sentence is correctly copied.